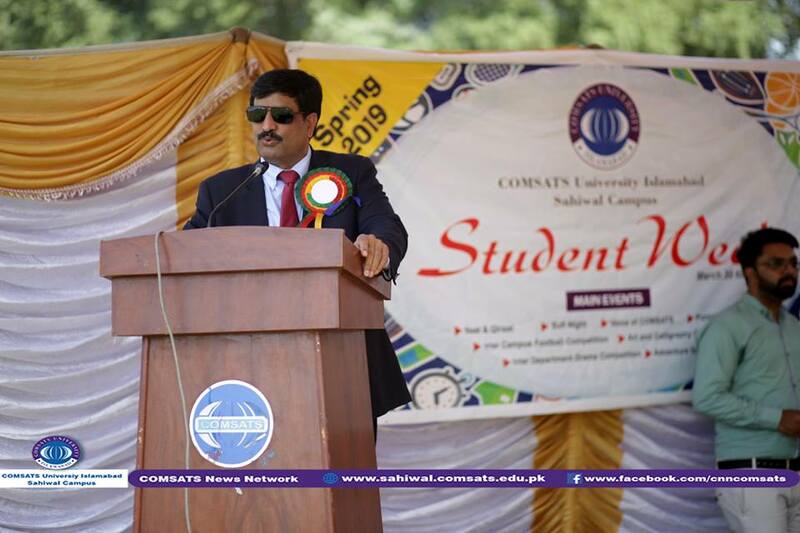 Student Week Spring 2019 was kicked off at CUI Sahiwal. 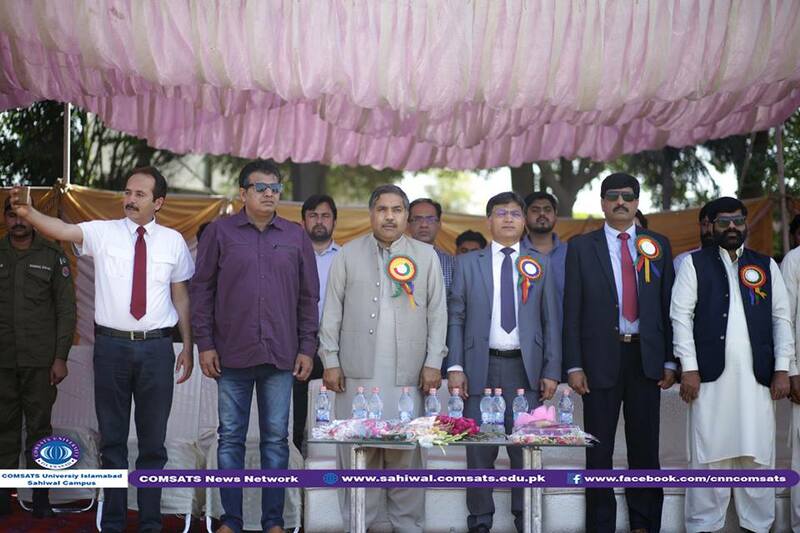 Muhammad Zaman Wattoo DC, Sahiwal and Prof. Dr. Saleem Farooq Shaukat, Director CUI Sahiwal were the Chief Guests. Malik Muhammad Arshad, MPA & President SCCI Rashid Ch were guests of honor. 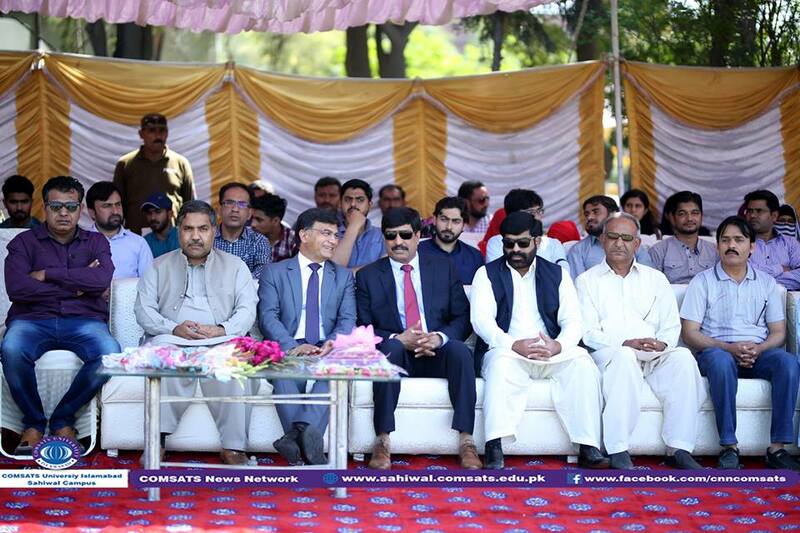 The said ceremony was attended by Dr. Shahzad Saleem, Incharge Student Affairs, Mr. Safdar Ali, Convener Media Committee, Sports Assistant, all HoDs, faculty/ staff members, large number of students and media representatives. The ceremony was started with recitation from the holy Quran. 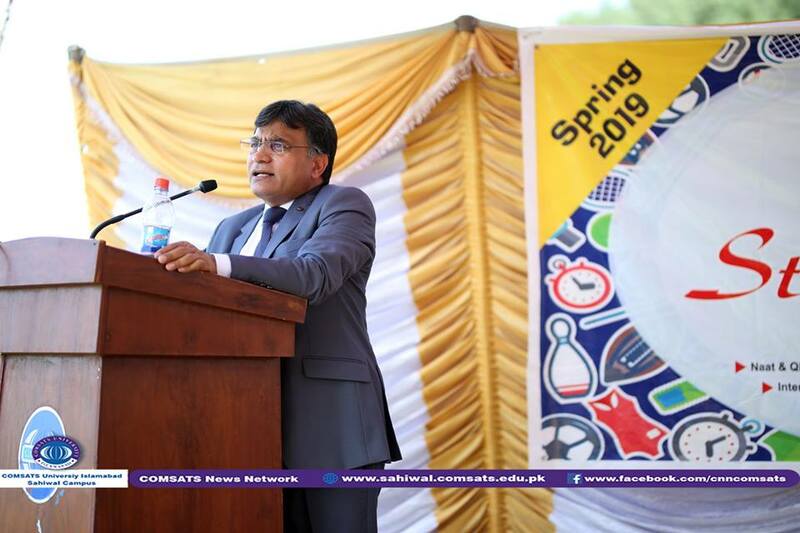 Prof. Dr. Saleem Farooq Shaukat welcomed the Chief Guests and briefed about student week activities. 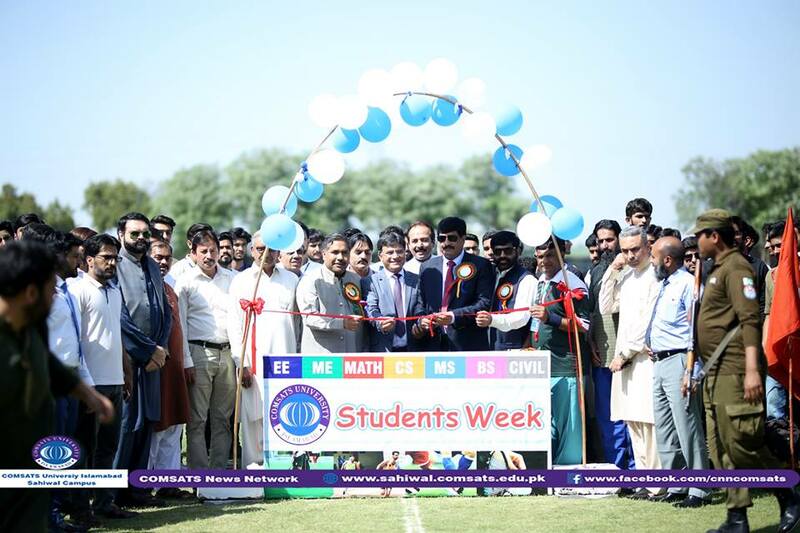 After which, the student week was kicked off with cutting of ribbon, fly of pigeons by Mr. Muhammad Zaman Wattoo and Prof. Dr. Saleem Farooq Shaukat along-with head of departments. During ceremony, tug of war competition among students was held whereas, the cricket, hockey and football competitions were also kicked off. Prof. Dr. Saleem Farooq Shaukat, Director CUI, Sahiwal Campus addressed to the participants. He emphasized that extra-curricular activities play pivotal role in physical and mental growth. He shared that we believe in arranging co-curricular and extra-curricular activities for our students to provide them leisure hours and to engage them for their learning. The objective of Student Week is to engage students in healthy activities which are important for their grooming and personality development. 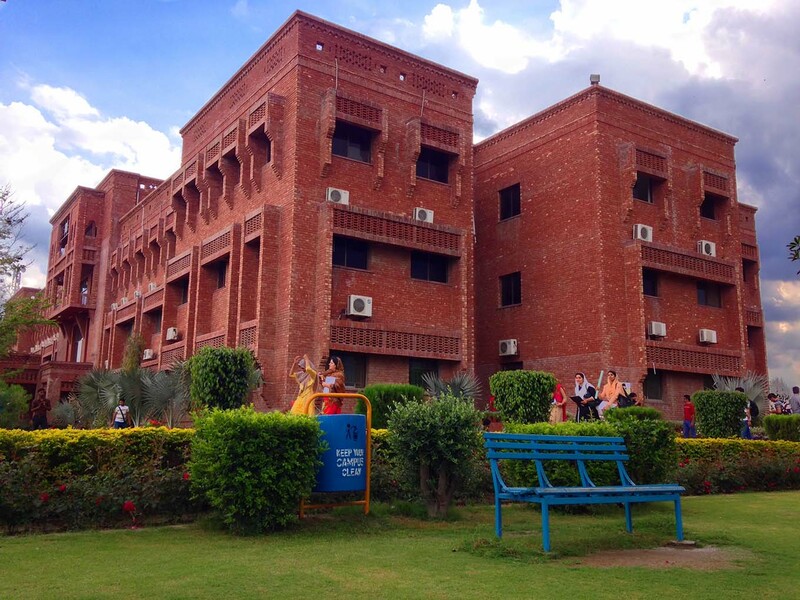 As per previous semesters practice, students didn't participate in extra-curricular activities. He said both academic and extra-curricular activities are linked with each other. 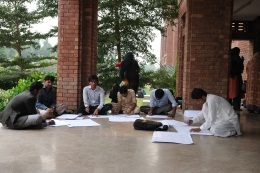 He advised and encouraged all students for their active involvement. 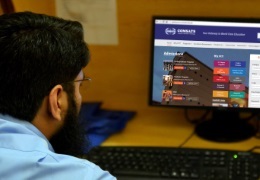 He further shared that its’ not a matter of one week only, its matter of whole semester as several events/ activities are arranged on regular basis during whole semester. After inaugural session, several activities/ events were arranged under the flagship of Event Management Society, Music Club, Literary Society, Dramatic Society, Calligraphy and Fine Arts Society, Science Club, ASHRAE, Adventure Club, Health Society, Sport Club, and Media Society. 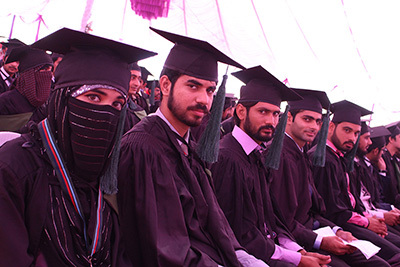 Muhammad Zaman Wattoo said that he is very exciting to be present at such an auspicious occasion. 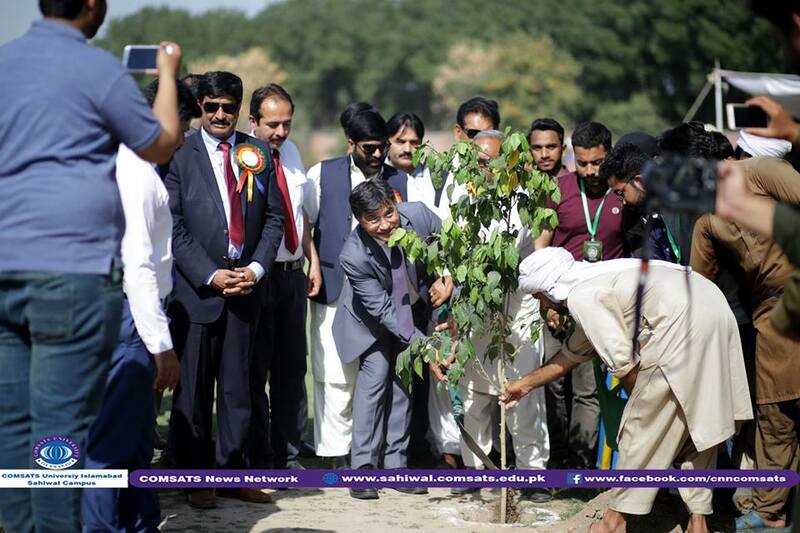 He said that he feels happy to see that COMSATS is following the clean green Pakistan initiative. He added that Pakistan is at No. 10 among those countries that are at risk due to pollution. 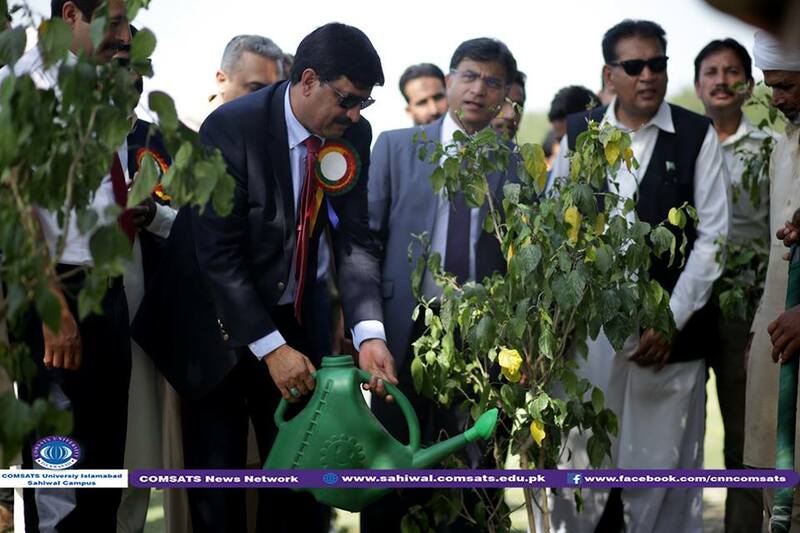 He advised students to participate in tree plantation drive in order to counter such vulnerable situation. 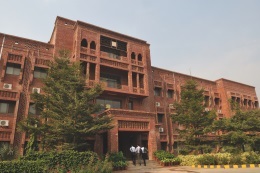 The Student Week will be concluded with arrangement of Lok Virsa & Cultural Day on Friday, April 05, 2019. It would be full day activity which includes Lok Virsa Day, Punjabi Mushaira, Bangles Competition, Bhangra, Tappay, Best Dressed Male and Female, Pagri Bandhna, Truck Art, Lassi Making, Boys Cultural Walk, multiple stalls, Love Jail, Hate Jail, Song Dedication, Flowers dedication, Games, Rides (Marry Go Round, Giant Wheel, Jumping, Ship), Sufi Night and many more.